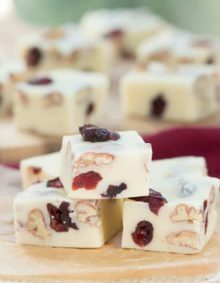 Need a last minute snack recipe for a holiday party? 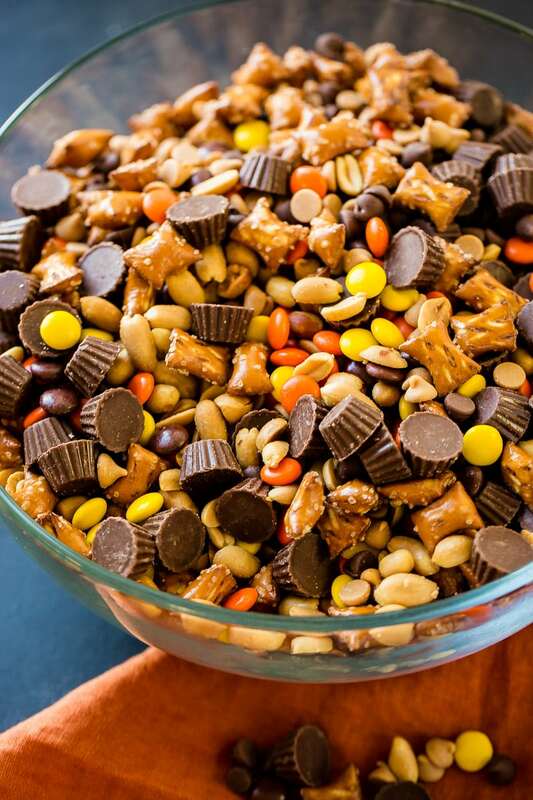 Us too, so we are taking this easy 5 Minute Reese’s Snack Mix with pretzels! Ok, it’s go time and yet you just realized that other than the big meal you still have to eat and entertain guests before it’s ready. Ugh, there’s always one more thing to do. 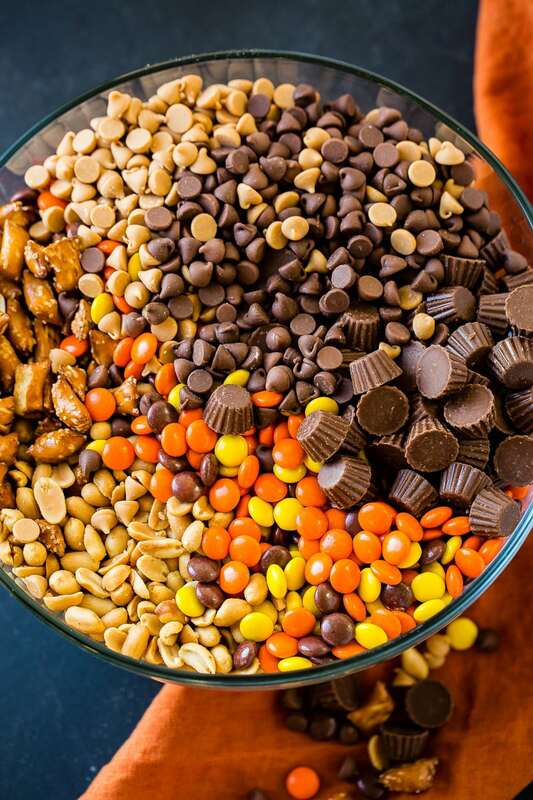 Enter our 5 Minute Reese’s Snack Mix. You can be in and out of the store in 2 minutes flat, I mean, if you run, 😉 and you can have a yummy snack sitting out on the counter to keep hungry guests out of the main meal. 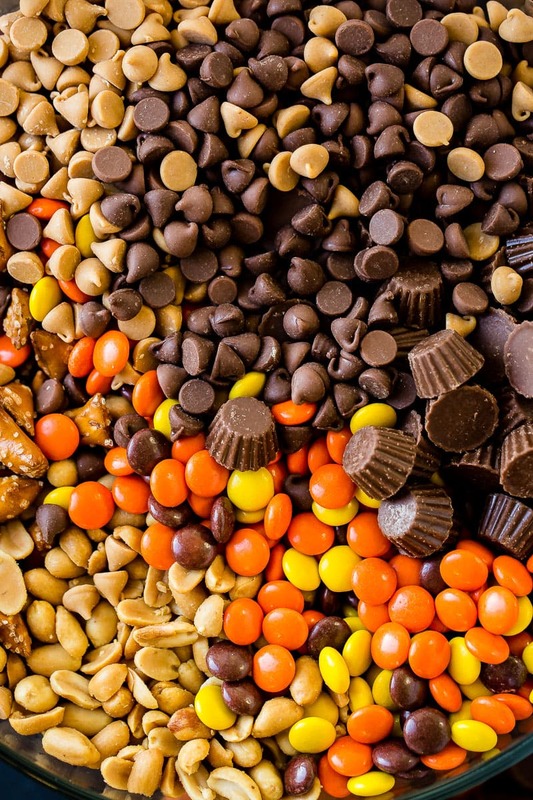 We’ve loaded our 5 Minute Reese’s Snack Mix with pretzels, peanuts, chocolate and peanut butter chips, mini Reese’s Peanut Butter Cups and Reese’s Pieces! 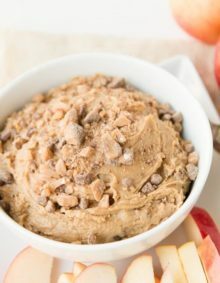 Sure, it’s not as healthy as cousin Sherri’s hummus, but everyone is thrilled and you get your own little bits of peanut butter and salty goodness throughout the day. #Winning! 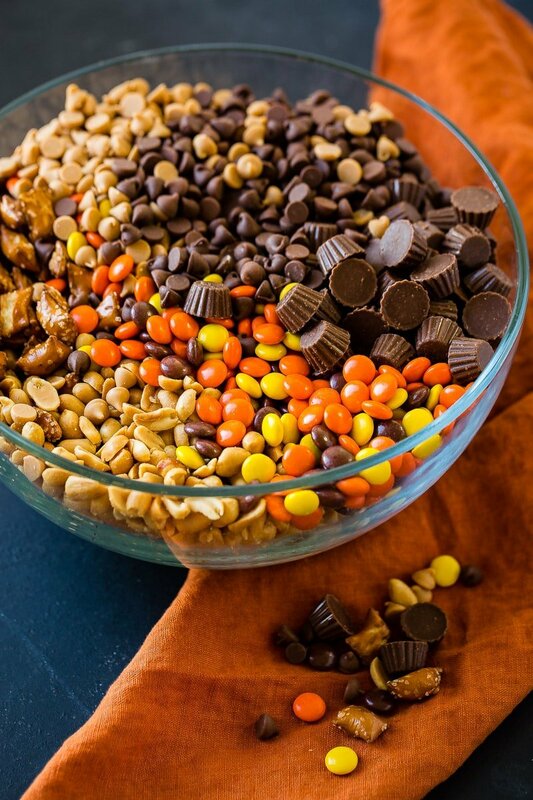 Just take 5 minutes to dump everything in a bowl, mix to combine and set it out! Store any leftovers, if you’re not grossed out by all the hands that have been in the bowl (yeah, I see you with your hand sanitizer) in a large ziploc bag to keep the pretzels from going stale. 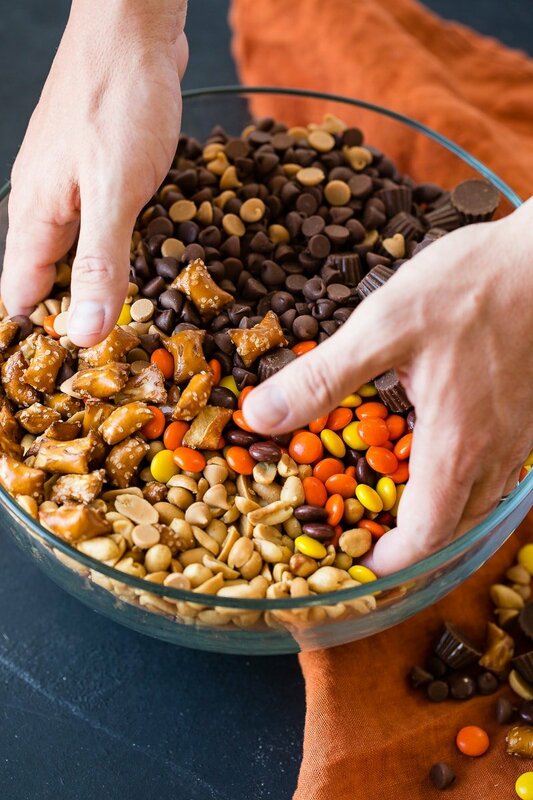 Need a last minute snack recipe for a holiday party? 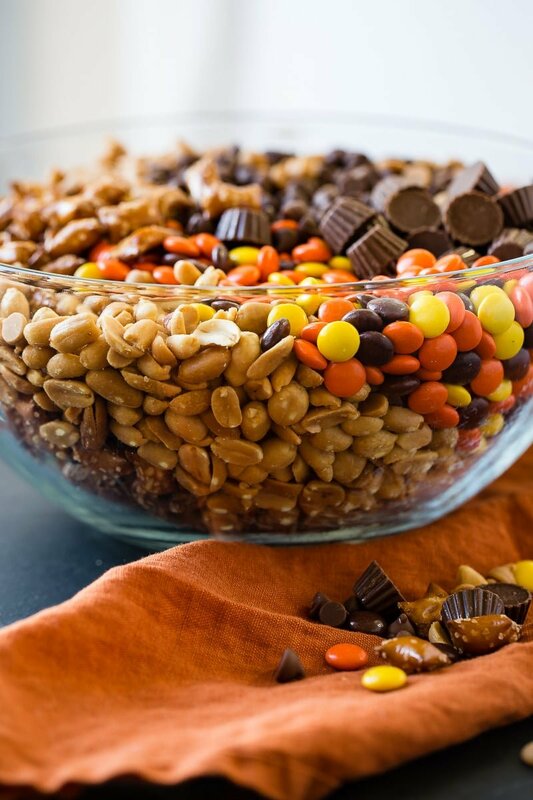 Us too, so we are taking this easy Reese's Snack Mix with pretzels, peanuts, Reese's peanut butter cups, chocolate and peanut butter chips! 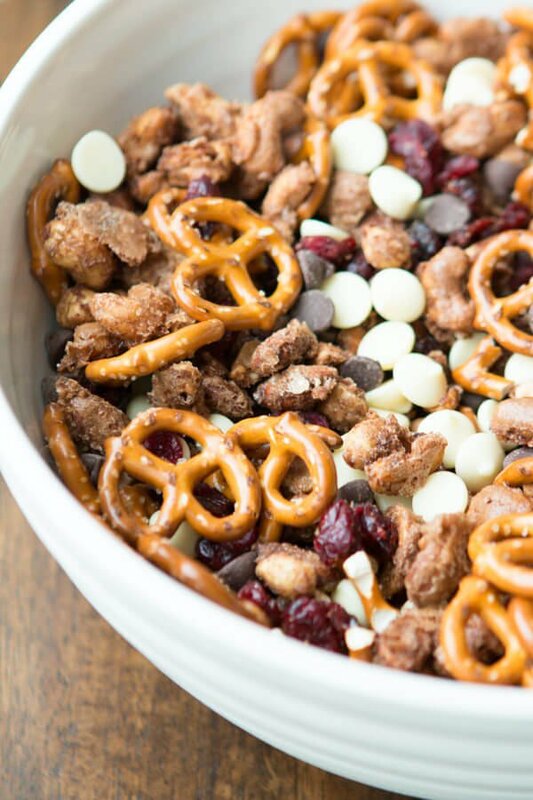 Looking for a Holiday snack mix? Look no further! 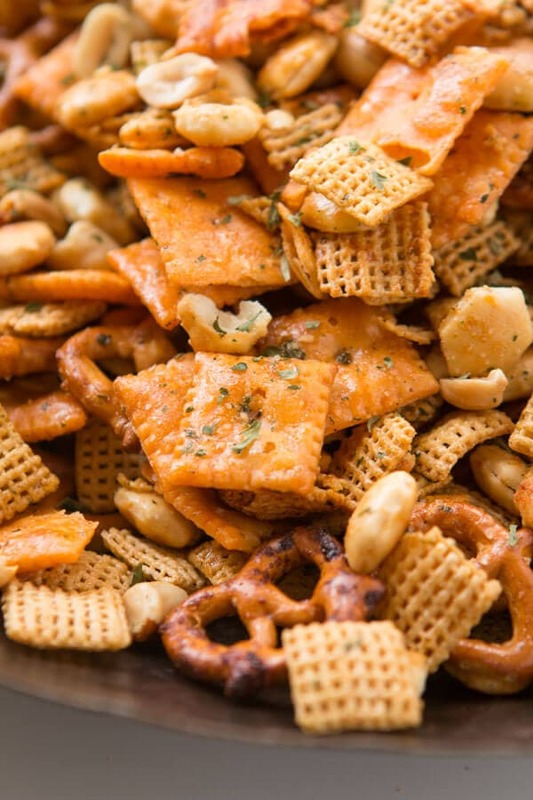 The mother of all chex mix recipes! I love this recipe. Thanks for sharing. Is everything in the recipe gluten free, because I’m only eating gluten free. I would really love to try this recipe. Please let me know as soon as you can. Have a great day. The pretzels are not gluten free but you can buy gluten free pretzels! Recipe sounds great. So quick and easy. Thanks. It’s always a hit too! Hope you enjoy it! For me, the problem with this recipe is that it doesn’t list actual measurments, and package size can vary. Guess I need to keep looking for a recipe version with true measurements. 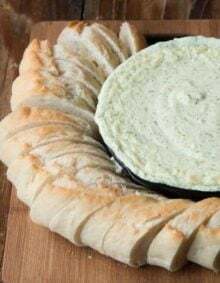 This is on my list to make, I crave PB everyday. Girl, me too!! It is so heavenly! 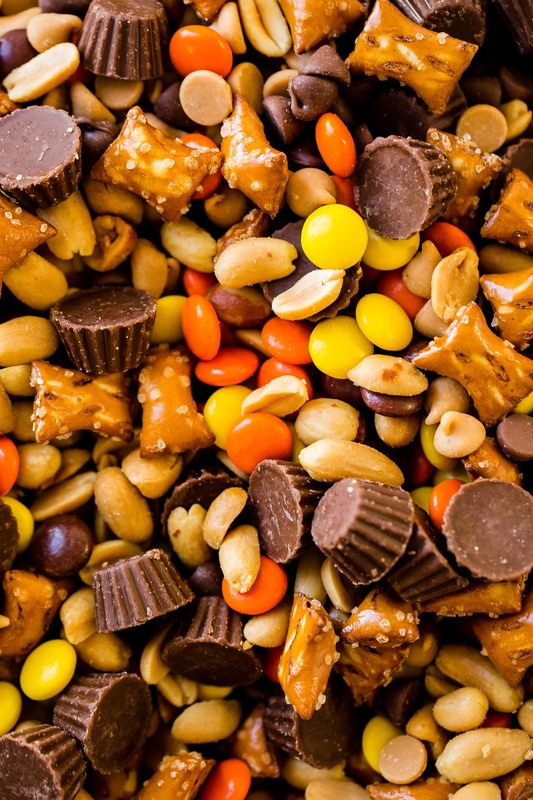 And this snack mix hits all the PB cravings!! Hey! This is just like that mix they sell for like $15 a bottle at Costco! Love that! And I would be grossed out by everyone’s hands in it!